State govt. 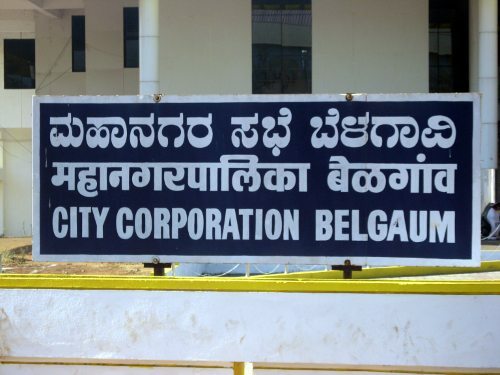 under the SFC scheme has allotted 25 crores for projects in Belgaum corporation. The corporation plans to utilize the same by undertaking 183 different projects, this was finalized at the standing committee meeting. New diesel based crematorium would be set up at Sadashiv Nagar at a cost of Rs.53 lakhs There currently an electric crematorium does exist which is not working for over 20 years. And as water logs into the basement it has been decided to set up a new diesel based one at the same spot. 40 lakhs for repairs and maintenance of drainage lines in the city. 81 lakhs already spent on renovation of Council hall. 40 lakhs worth furniture bought for the offices of Mayor, Dy.Mayor, Standing committee president, Leader of the house and opposition and Corporation commissioner. 33 lakhs for road patch work, painting and cleaning of Kapileshwar tank and other tanks used for Ganesh immersion. 70 gardeners for the 60 garden in the city. Why Cant the corporation post all the expenses done in detailed report in their official website. how they can post?no one from corporation wish to disclose the scams.